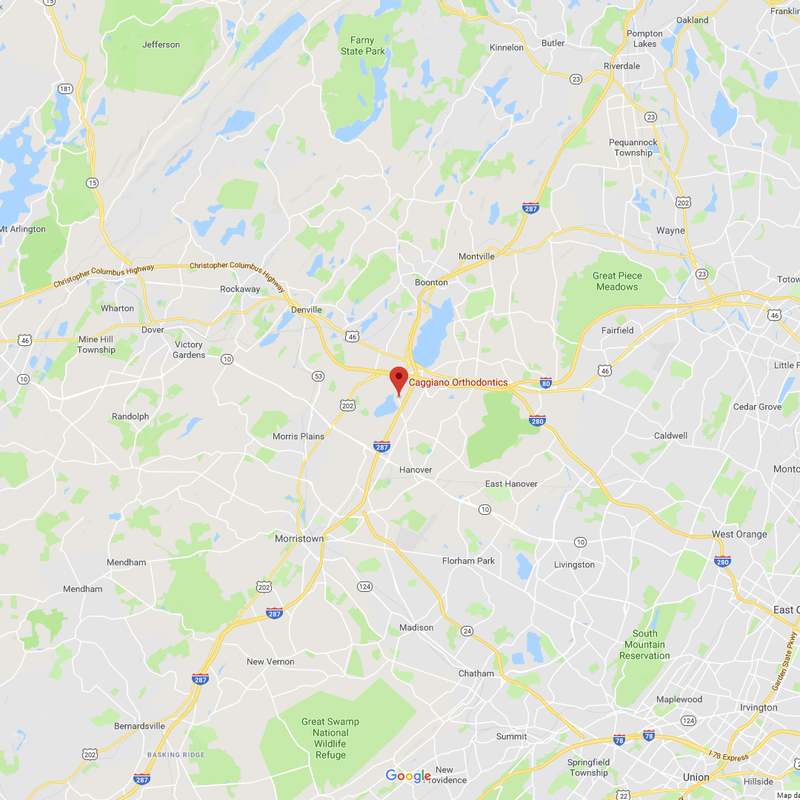 We are conveniently located at the intersection of routes 80, 287, 46, and 10. 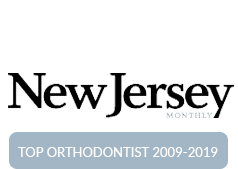 We have patients who easily commute to us from as far north as Sparta, NJ and as far south as Morristown, NJ! 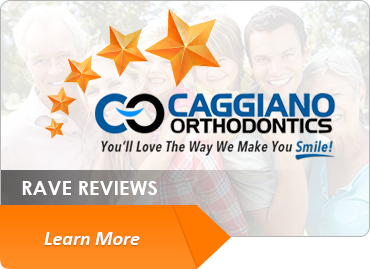 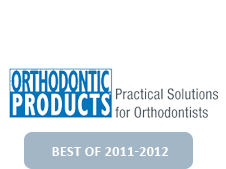 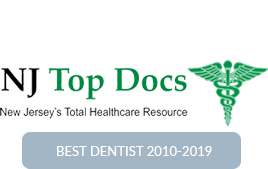 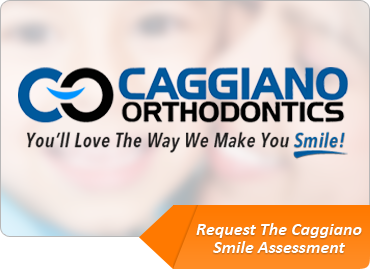 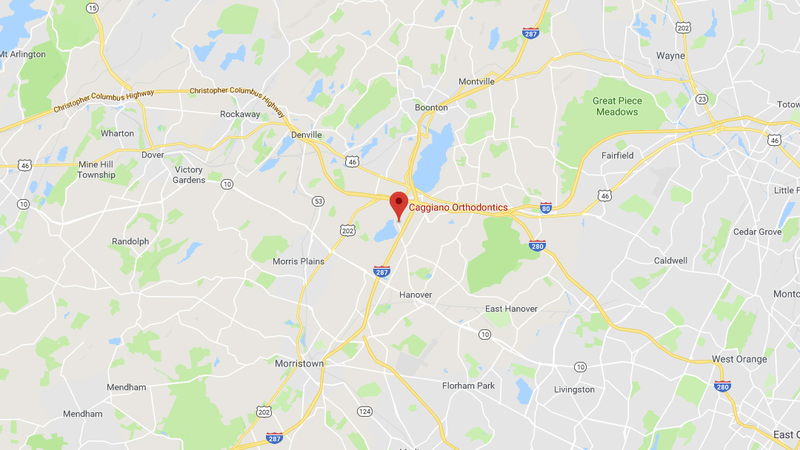 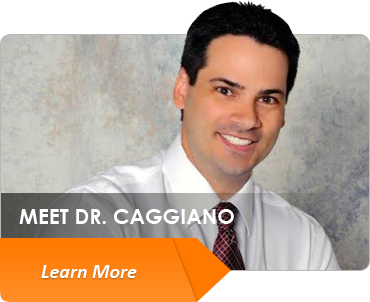 Dr. Caggiano has only one office location and is Parsippany’s only full-time orthodontist. 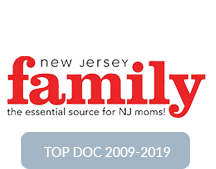 We offer free internet access thru our Wi-Fi Hotspot, a flat screen TV, a homework area, and a coffee bar for your comfort. 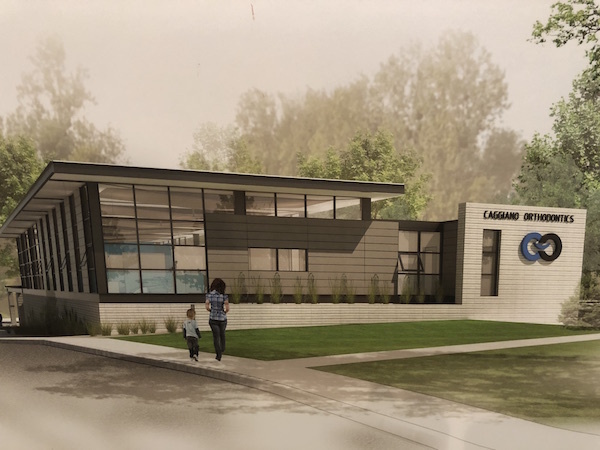 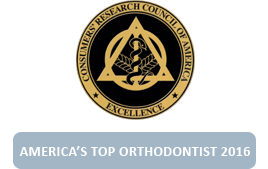 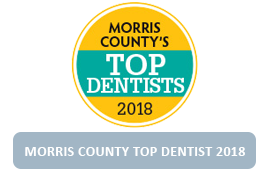 Your comfort is important to us, and because we work with patients of all ages, we recognize that each person who visits our Parsippany orthodontics office has unique needs and expectations.